You’re in the market for some chairs. Instead of driving around to visit brick and mortar furniture shops, you decide to go online. You get to a large reputable business and find some chairs that you’re interested in. They look comfortable, they’re pretty; it seems you’ve found what you were looking for, but you want to know if they deliver, and how long it’ll take. The information’s not on the site, so you send the business an email. That night, you receive a response saying that a customer service representative will get back to you within 48 hours. The above example is, in fact, a real scenario, discussed by the CEO of London-based brand research agency Bramhook Pip Stocks. 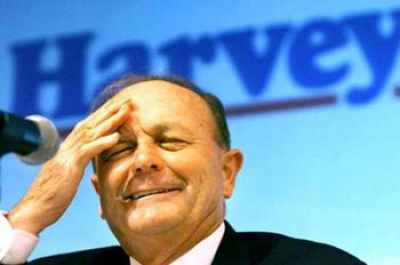 The business in question was Harvey Norman and the CEO highlighted did indeed buy his chairs elsewhere. Many organisations rightly focus on collecting big and real-time data to aid them in their marketing strategies, and to generally provide insight into developing a greater understanding of their customer segments. But what good is the use of having such information if it is not going to be utilised? This example is the perfect demonstration of such a case. When a business receives an email from a potential customer – that is real-time data. In most cases, an email of this sort will be generated through a website’s contact form. This means that there’s a good chance the email isn’t just alerting the business to the point that a customer wants to buy some chairs; it’s also likely including the customer’s personal details such as a name, phone number, perhaps even postcode. By not heeding to this information in a timely manner it’s simply going to waste. That’s not the sort of data a small (to medium) business can afford to ignore. In today’s hyper-connected world, many customers will choose to engage a business using platforms they’re used to and comfortable with. It’s not always email or phone. 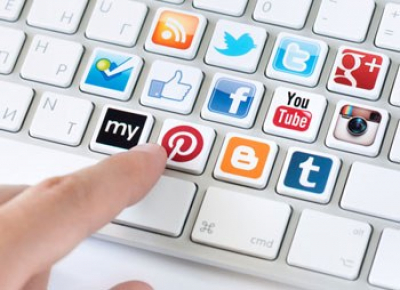 It could be Facebook, Twitter, Instagram, live chat, ticket support - it could be any channel your business is tuned into. And with mobile, these communications can happen at any time which is fantastic. The more access points customers have to your business, the better. But there’s a flipside to this. It also means that there are more doors to guard and the potential for customers’ questions and queries going unheard and unnoticed increases in parallel. Which is not so good. It goes without saying that not all businesses have the resources to dedicate full-time staff purely to customer service. And if it is possible, depending on the scale, it’s not always possible to keep 100% up-to-date across every available channel, especially if a customer service ‘team’ consists of a single staff member. Nevertheless, there are ways to mitigate the chances of the above situation happening. For one thing, automated responses so that customers aren’t left feeling unnoticed and ignored should be in place. One example we have seen grow over the past five years is the integration and use of SMS as an instant form of communication with customers. Our MXT platform, for example, can be configured to allow for auto-responses as soon as the message is has been delivered. MXT users can then guide customers towards an online chat or an on-call staff member who can promptly address and respond to the query at hand, all done through the use of keyword triggers. Yes, resources are always limited. And some potential customers are always going to fall through the cracks. Nevertheless, real-time data is invaluable. Because of the smartphone, and the landscape in which customers are connecting with businesses in this modern age of instant gratification, it’s more important than ever to ensure that real-time data like this – data that is so easily collectable – is utilised properly.